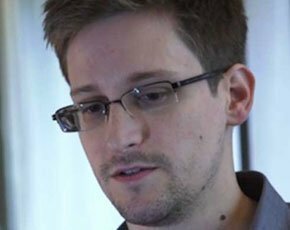 The US National Security Agency (NSA) is collecting nearly 5 billion mobile phone records a day for tracking purposes, according to the latest documents leaked by whistleblower Edward Snowden (pictured). Mobile phones transmit location data whenever they are turned on, whether or not they are used for voice calls, text messaging or email. The documents detail an NSA monitoring operation that analyses data about the precise location of individuals and maps their relationships with other people, the Washington Post reports. The NSA is storing information about the locations of at least hundreds of millions of devices, providing the intelligence community with what amounts to a mass surveillance tool, the paper said. According to the report, the operation is the greatest in scale, scope and potential impact on privacy of all the NSA surveillance programmes that have been disclosed since June 2013. A senior NSA collection manager said the agency is acquiring “vast volumes” of location data from around the world by tapping into the cables that connect mobile networks globally. Data is also often collected from the tens of millions of US citizens who travel abroad with their mobile every year, he told the paper. The NSA employee spoke to the Washington Post on condition of anonymity but with the permission of the NSA. According to the report, the NSA is applying sophisticated mathematical techniques to map mobile phone users’ relationships to enable the NSA to identify associates of intelligence targets. But US officials said the programme is lawful, as it is intended to develop intelligence about foreign targets. The information about the location of domestic mobile phones is purportedly gathered “incidentally”. Two months ago, NSA director Keith Alexander admitted to secret pilot programmes to monitor the precise location of US citizens through their mobile phones. Alexander said the highly intrusive tracking data “may be something that is a future requirement for the country”, but added that the pilot programmes run in 2010 and 2011 were not used for any intelligence analysis purposes. The latest Snowden revelations come as the US Congress considers three separate bills that would, to varying degrees, curtail NSA powers or reform the secret courts intended to hold the agency to account, according to the Guardian. But none of the proposed reforms would substantially alter the NSA's ability to monitor ordinary foreigners living outside of the US, the paper said. Civil liberties groups have called for immediate action by Congress to address the latest revelations about the scale of the surveillance programme that was, they say, introduced without any public debate.